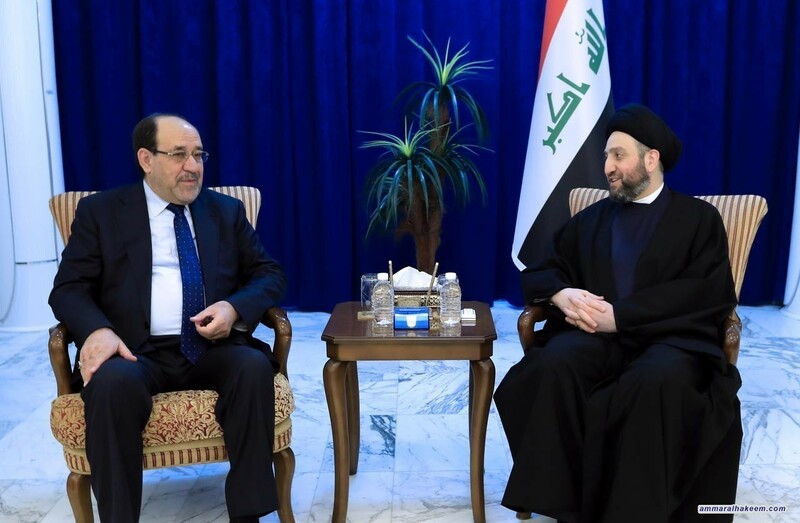 His eminence with Maliki discussed latest political affairs, completing the government cabinet, and institutionalizing the two major alliances. His eminence renewed his support to the federal government and called to complete the government cabinet so to implement the government program, stressed the need to pass necessary legislation that supports provision of services, fighting corruption and making job opportunities. His eminence stressed the need to institutionalize the major alliances, the Reform and Reconstruction Alliance and the Al-Bina Alliance, indicated that institutionalization is necessary for stability of the political system, and highlighted the steps taken by the Reform and Reconstruction Alliance in this regard. 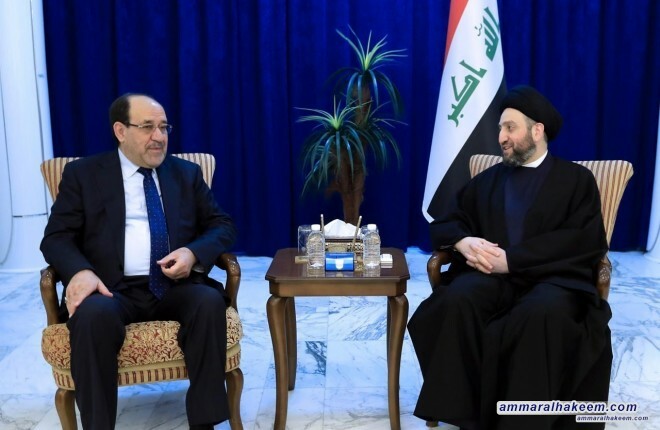 Regarding the relationship between Iraq and its regional environment, both agreed on excluding Iraq from the policy of axes and starting relations on the basis of common interests.